The Harley-Davidson® Street Bob® is a classic, stripped down model that’s part of the famed Harley-Davidson® Dyna lineup. The Street Bob® can handle anything from long highway rides to cruising the streets of Los Angeles. 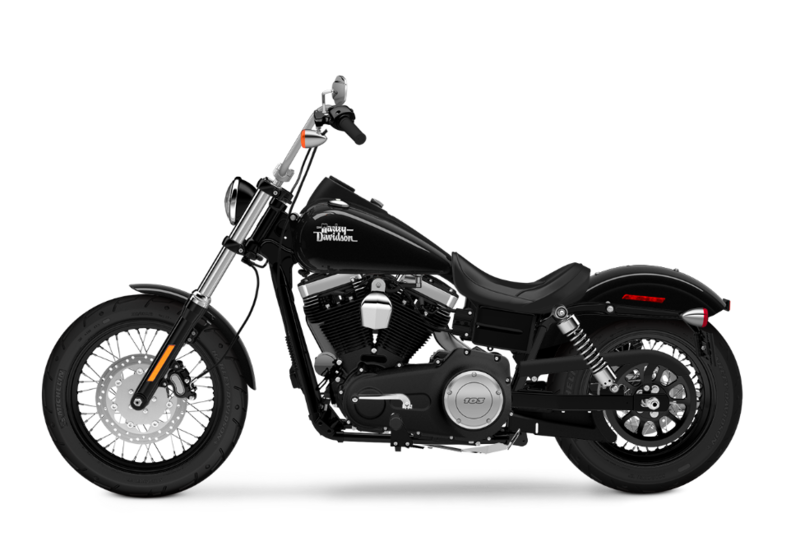 It’s available now at Riverside Harley-Davidson®, your leading Inland Empire Harley-Davidson® dealership. 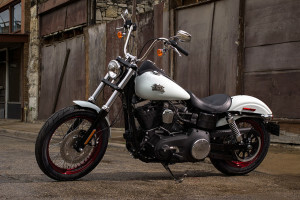 The Street Bob® comes standard with an iconic Twin Cam 103™ V-Twin that produces that signature Harley-Davidson® rumble and plenty of muscle to go along with it. 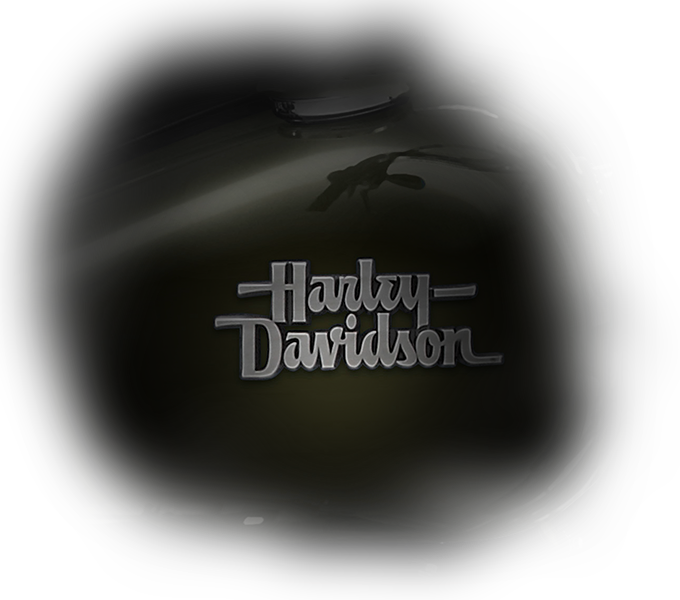 Twin Cam 103™ Engine: This powerful V-Twin delivers power and reliability, just like you’d expect from a Harley-Davidson® engine. 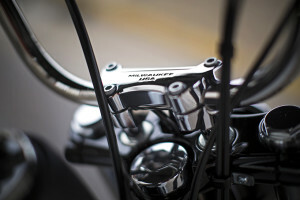 Innovation: You’ve got ample torque at your disposal thanks contemporary technologies like electronic fuel injection and lightweight alloy components. 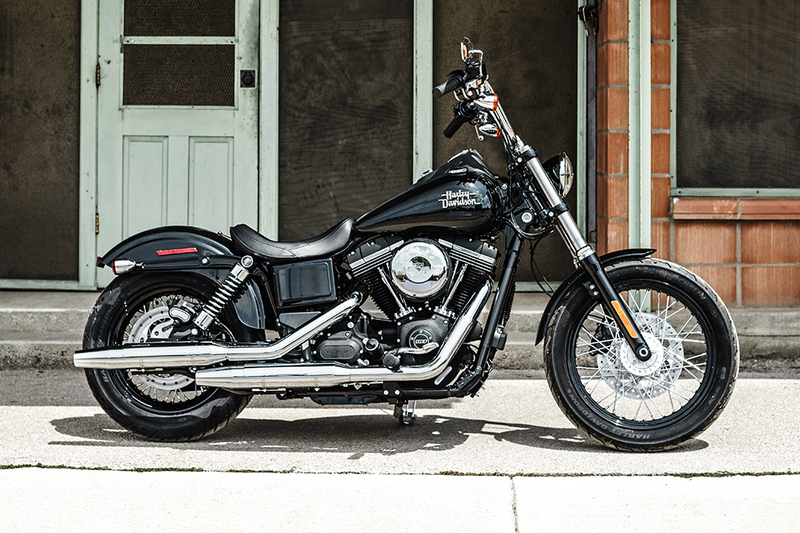 Pure Blacked Out Styling: The engine can’t hide from the dark custom styling on the Street Bob®. 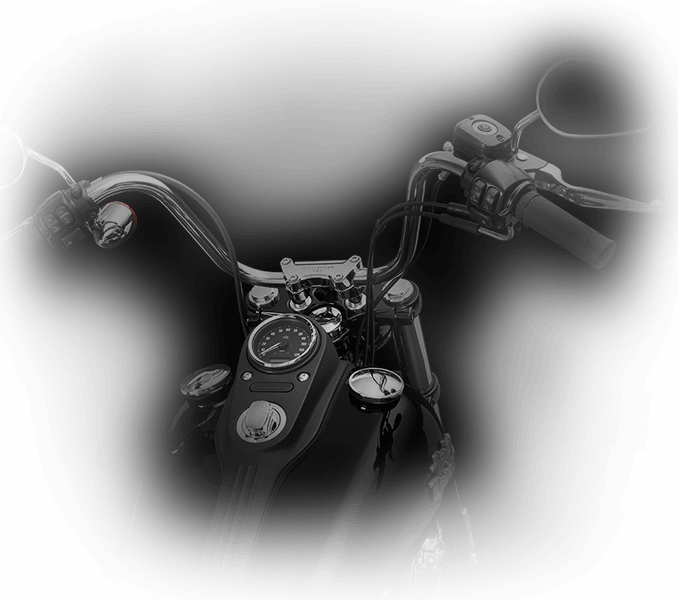 You get a blacked out battery cover, black powertrain, and textured black rocker covers with highlighted fins for that stealth look. Six-Speed Cruise Drive®: Want total control over the big V-Twin? 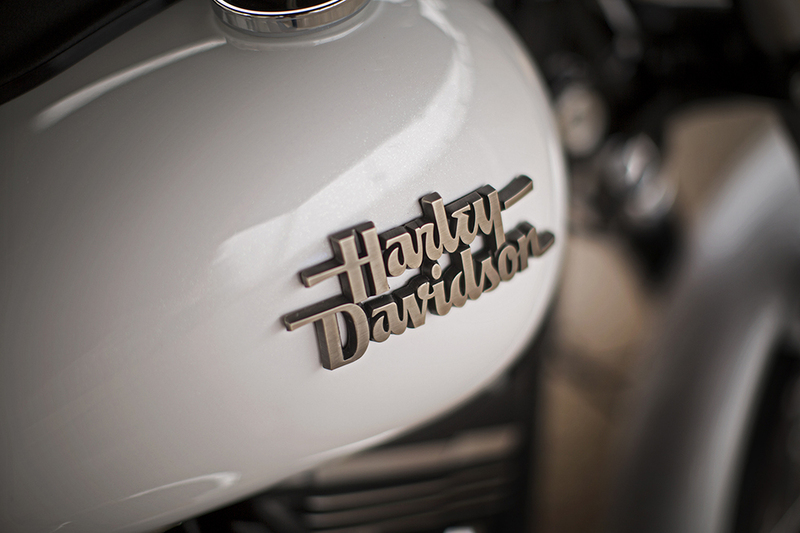 You can thanks to the smooth shifting Six-Speed Cruise Drive® transmission. It gives you the ability to stay right in the middle of the power band at any speed. 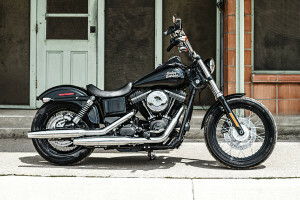 The Harley-Davidson® Street Bob® is a classic bobber that focuses on losing everything that’s not necessary, but we’ve made sure it still retains the style that Harley-Davison® customers expect. 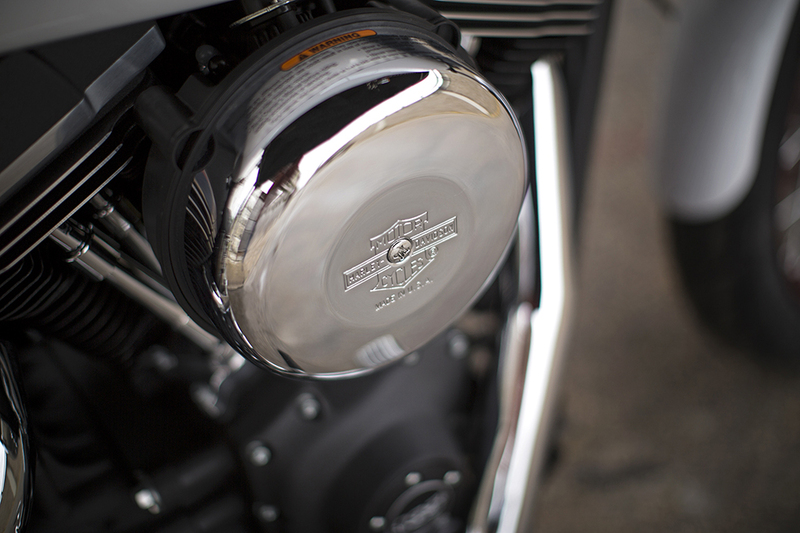 Fuel Tank Medallions: Cast fuel tank medallions are big, bold, and brash, and add a bit of shine to the otherwise minimal profile of the Street Bob®. Mini-Ape Hanger Bars: These classic stainless steel handlebars put your hands up into the wind for that classic chopper stance. 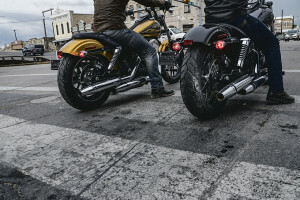 Stop-Turn-Tail Lights: In back, you’ll find three-in-one multifunction lights that use LED technology to ensure that all vehicles on the road can see you. Hard Candy Custom™ Paint: The premium Hard Candy Cancun Blue Flake paint is both a main focal point on the bike and stands up to wear mile after mile. 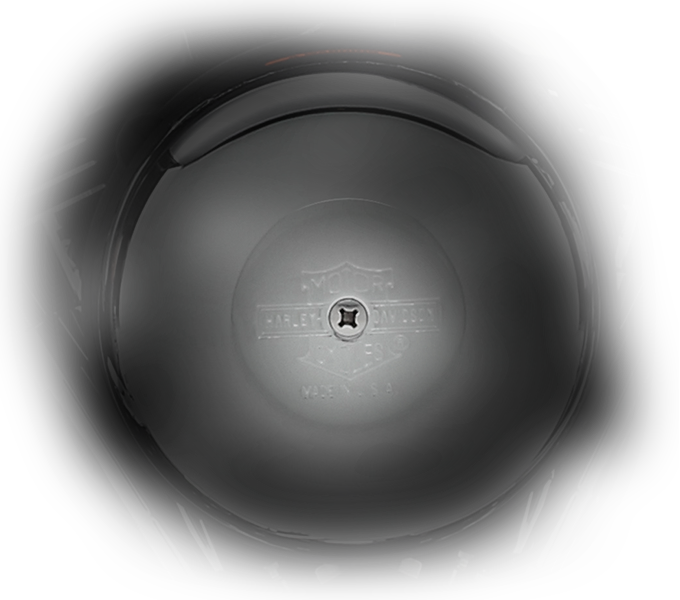 Blacked Out Console: You’ll find a speedometer, gear and RPM indicator, tachometer, clock, trip computer, and engine diagnostic information all on top of the fuel tank which rests upon the blacked out console. 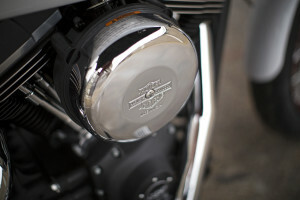 Bobber Powertrain and Air Cover: This retro style air cleaner cover provides classic good looks with a big, round blast of brilliant chrome right in the middle of the powertrain. 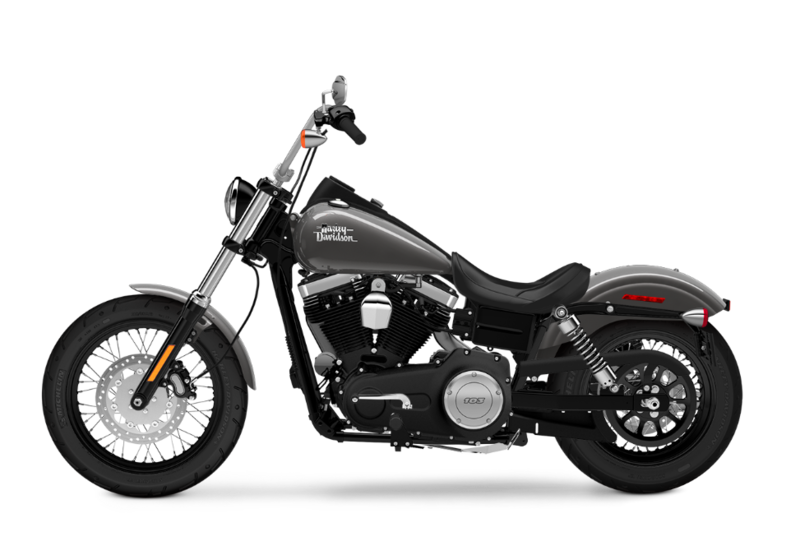 Blacked Out Rims: The Street Bob® is set up with these classic blacked out rims and laced with silver stainless spokes for a throwback look. 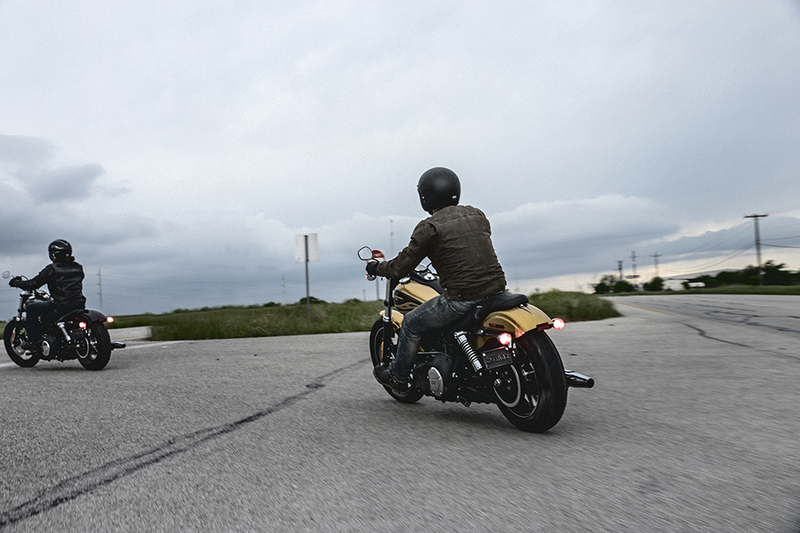 The Street Bob® devours mile after mile and helps keep you comfortable. 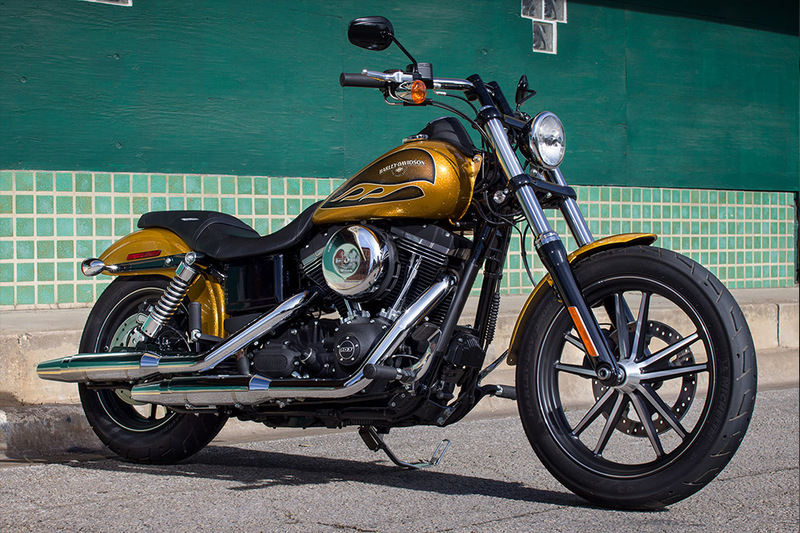 Adjustable Suspension: The Street Bob® utilizes an easily adjusted rear suspension that lets you set it up just like you want. Michelin® Scorcher™ Tires: The Street Bob® gets wheels wrapped in high performance Michelin® rubber, and that helps deliver thrilling performance, outstanding grip, and plenty of durability for the long haul. 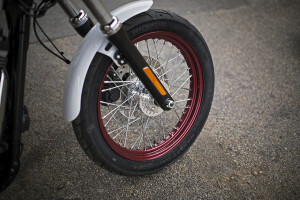 Mid-Mount Controls: With controls mounted in the middle of the bike, you’re always in a natural, neutral, confident posture, for comfortable all day riding. 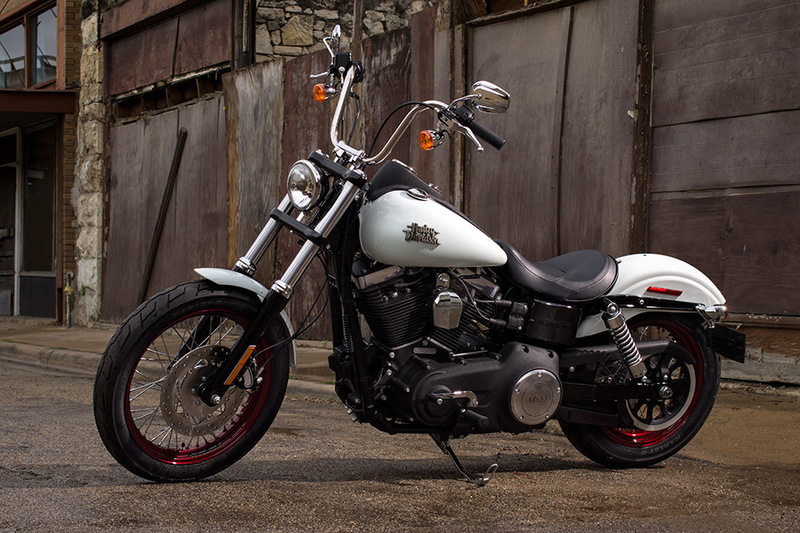 The Street Bob® delivers classic, retro styling, paired with some of the most up to date features available. 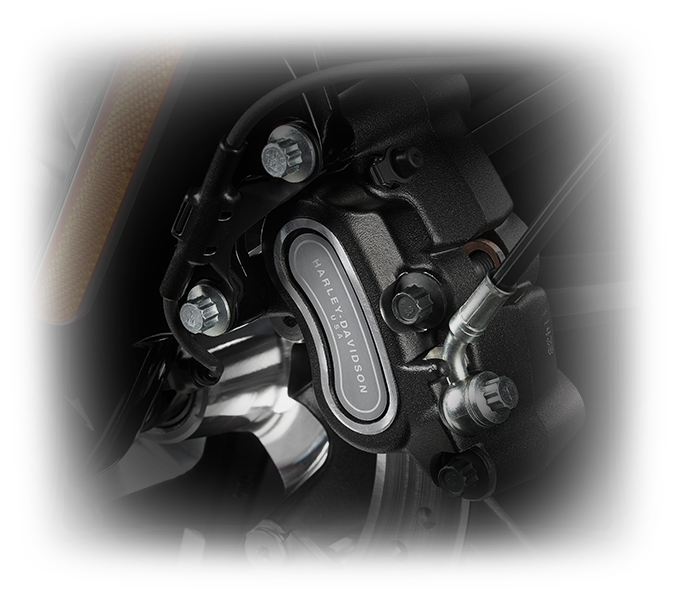 Antilock Brakes: The Street Bob® is offered with optional antilock brakes that help you rein things in quicker when that exit comes up out of nowhere. Wheel lockup is practically a thing of the past when you equip this feature. H-D® Smart Security: Another optional feature is the H-D® Smart Security system. Thanks to a wireless keyfob, it automatically activates when you leave the bike and deactivates when you return.